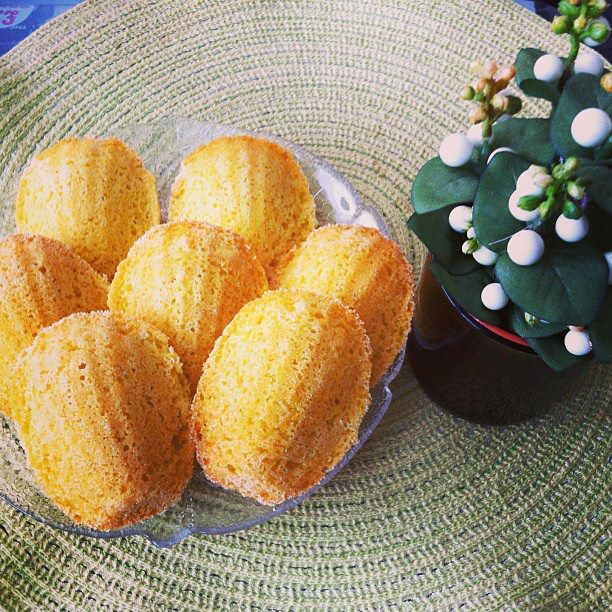 After a long time wanted, and longed to bake these famous French Madeleine cakes. One day, to my great joy, I found the famous molds that give the cookies its famous form. In France then baked them like the mother in the house before the rest of the family wakes up. Which tradition I have taken after. They disappear very quickly. They are very fast made ​​and tastes fantisktisk! Beat eggs, butter, vanilla and sugar and lemon rind until fluffy. Carefully fold in the remaining ingredients. Grease and sprinkle with crumbs Madeleine molds and divide the batter into the mold. Bake 175 degrees for about 10 minutes. Madeleines are great aren’t they? Thanks for checking out my blog. Looking forward to reading more of your posts.